"BROTHERHOOD OF THE GREY BEARD BIKERS"
We strongly believe that "it's not what you ride, but that you ride" as it has been said, "Clothes do not make the man", so it is our belief "The ride does not make the Biker"
We are not a motorcycle club or a riding club and we are not now or will we ever be associated with any club or organization. We are a group of bikers that have formed a World Wide Brotherhood for the sole purpose of preserving and promoting the life style we have chosen to live and enjoy. We respect all clubs and their Colors be they M/C, RC or 1% precenters and invite their perticipation on our forum. The Brotherhood of the Grey Beard Bikers exsit for the purpose of preserving and promoting the Biker Life style and is dedicated to promoting peace and harmony among all Clubs and independent bikers..
We also endeaver to educate the younger or uneducated riders who express a desire to learn about the Biker Life style. We strive to teach the true meaning of Brotherhood, Loyalty, Respect and Protocols within the Biker Life Style and the fact that all the above is something that is taught but can never be bought. We have members all around the United States and Canada, some of who are amoung what we describe as "The wise ones". These are older grey beards that have paid their dues, have been riding for 40 plus years, some much longer and know the life style. We go on the assumtion that you are never too old or wise to learn something new or relearn something you may have forgotten, we learn from the wise ones everyday and are proud to call them Brother. If this sounds like something you are interested in, or if you would just like to learn more about the lifstyle and Bikers in general please go to our BGBB Forum and introduce yourself. 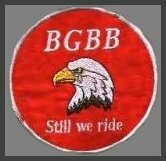 If you think you have what it takes and have made up your mind to make the life time commitment to become a member of the Brotherhood of the Grey Beard Bikers, simply go to the BGBB Forum and make your introductory post and then hang around so the Brothers can get to know you. After you've been posting on the forum for a few months and we've gotten to know you, you may ask a full member to sponsor you for membership. Below you will find a link that will take you to the BGBB FORUM. The BGBB Forum has just one basic rule "RESPECT". we respect all clubs and their Colors be they M/C, RC or 1% precenters but would appreciate them not being mentioned on the forum. Attitudes will not be tolerated and your entry (Forum or Guestbook) will be deleted. 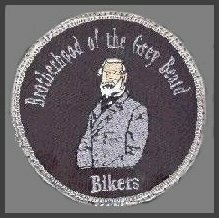 Copyright � 2003 - Brotherhood of the Grey Beard Bikers - All rights reserved.